The fourth elections to the Assembly of Experts in Iran are scheduled to be held on December 15 concurrent with the third municipal council elections and the 7th Majlis by-elections. The 86 member Assembly is one of the most important bodies in Iranian political system and is directly elected by people for a term of eight years. Though the Assembly of Experts does not have a say in the day to day governance of the country, it has a potential for peacefully bringing in the far reaching changes in the whole Iranian political set up; something long sought by the reformists. This potential emanates from its power to select (article 107 of the Iranian constitution) and remove as well as supervise the Supreme Revolutionary Leader (Rahbar-e Mo’azzam-e Enghelab) of the country (article 111). The office of Supreme Leader is the most powerful position in Iran. Among the power and duties conferred on the Supreme Leader by Article 110 of the Iranian constitution, the most important that have direct bearings on the demands put forward by the reformists are his power to appoint and dismiss (a) the religious members on the Guardian Council and (b) the supreme judicial authority of the country. If reformists have a strong presence in the Assembly of Experts, the next Leader who succeeds Ayatollah Khamenei, the incumbent Supreme Leader, can be expected to be more moderate or liberal. In such a situation, the Guardian Council and the judiciary are also very likely to be more liberal. Currently, both are dominated by hardliners that proved to be frustrating for reform initiatives taken by the Khatami government. The reformative laws passed by the Majles were repeatedly vetoed and blocked by the Council. A number of newspapers that sprang up following Khatami’s election were banned by the judiciary. In spite the fact that it is very unlikely that it would have an opportunity to select next Supreme Leader, this situation could change even during the next term of the Assembly provided reformists were elected on it. (There are rumors of deteriorating health of Ayatollah Khamenei but it is not confirmed by any reliable report.) Generally, it is believed the Assembly remains inactive unless it needs to select the Leader. However, the debate between Ayatollah Meshkini, the present speaker of the Assembly, who believes the role of the assembly is to elect and control the Supreme Leader and Ayatollah Yazdi, who believes the role of the Assembly is limited to the depiction of a leader who has been elected by God, shows that the Assembly of Experts can become dynamic and has a potential to influence the Supreme Leader to the extent that would have an effect on the appointment of Guardian Councils members and head of the judiciary. But even this theoretical possibility is not possible in the view of the reformists having already backed out from contesting the election. There are two major political parties or groups in Iran, the Assembly of Militant Clergy (pro-reform) and the Militant Clergy Association (conservative), and the main showdown in the Iranian politics takes place between these two only. The Association of Militant Clergy has announced that it will not release its list of candidates and thus will not support any candidate contesting the election. This announcement follows the rejection of most of the pro-reform candidates by the Guardian Council. In such a backdrop, the conservatives will gain control of the Assembly without facing any serious challenge in the election. It appears in all likelihood that the radical Shi’ite cleric Ayatollah Mohammad-Taqi Mesbah Yazdi will be elected as the chairman of the Assembly. 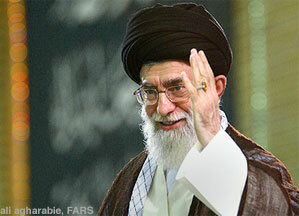 It has led Ayatollah Khamenei to back the candidacy of the former President Rafsanjani, a relatively moderate cleric. Thus Khamenei is following Ayatollah Khomeini’s policy of check and balance between various groups within the establishment. However, the reformists had proposed a more radical remedy of the problem that would make the Assembly of Experts election impartial and without undue influence of any one group. They had put forward a demand for creating a new mechanism for the conduct of election by establishing a new independent body of mujtahids that would, instead of Guardian Council, be responsible for conducting the election. However, the demand was rejected. Such a mechanism would remove election of this important body from the purview of Guardian Council that has always been dominated by hardliners. However, if Ayatollah Khamenei backs this demand and such an independent body is created, the reformist candidates for the Assembly of Experts will not, as reformist groups say, be rejected summarily. And the election of reformist minded clerics to the Assembly will make it more dynamic and the office of Supreme Leader will become more responsive to people’s desire. It will pave the way for appointment of moderates in Guardian Council and judiciary that would lead to less confrontational posture between the Majles and the Council, and fewer hard stances of the judiciary toward the press. It would engender gradual and peaceful political and social transformation of Iran from within the establishment and within the limits of Islam. 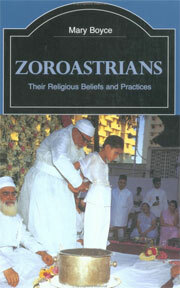 The Author is a graduate student in the Department of Near Eastern Studies, University of Arizona.